Wildfires affect biodiversity at multiple levels. While vegetation is directly changed by fire events, animals are often indirectly affected through changes in habitat and food availability. Globally, fire frequency and the extent of fires are predicted to increase in the future. The impact of fire on the biodiversity of temperate wetlands has gained little attention so far. We compared species richness and abundance of plants and birds in burnt and unburnt areas in the Amur floodplain/Russian Far East in the year of fire and 1 year after. We also analysed vegetation recovery in relation to time since fire over a period of 18 years. Plant species richness was higher in burnt compared to unburnt plots in the year of the fire, but not in the year after. This suggests that fire has a positive short-term effect on plant diversity. Bird species richness and abundance were lower on burnt compared to unburnt plots in the year of the fire, but not in the year after. Over a period of 18 years, high fire frequency led to an increase in herb cover and a decrease in grass cover. 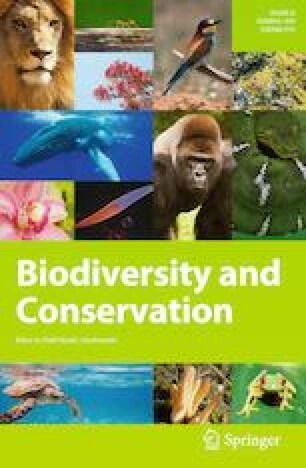 We show that the effects on biodiversity are taxon- and species-specific. Fire management strategies in temperate wetlands should consider fire frequency as a key driving force of vegetation structure, with carry-over effects on higher trophic levels. Designing fire “refuges”, i.e., areas that do not burn annually, might locally be necessary to maintain high species richness. The online version of this article ( https://doi.org/10.1007/s10531-019-01746-3) contains supplementary material, which is available to authorized users. This study was supported by the German Ornithologists´ Society (DO-G) and the Mohamed bin Zayed Species Conservation Fund (Project No. 150511869). R.H. was funded by a Johann Christian Wiegleb scholarship (ENEDAS e.V.). The authors want to thank the staff of Muraviovka Park for hosting us during the fieldwork. We also thank Arend Heim for GIS layers of the study area, Isabelle Berner and Tim Korschefsky for their help during the field work, and Anna Lampei-Bucharova and Christian Lampei for statistical advice. Comments by Valentin H. Klaus and two anonymous reviewers improved an earlier version of the manuscript.